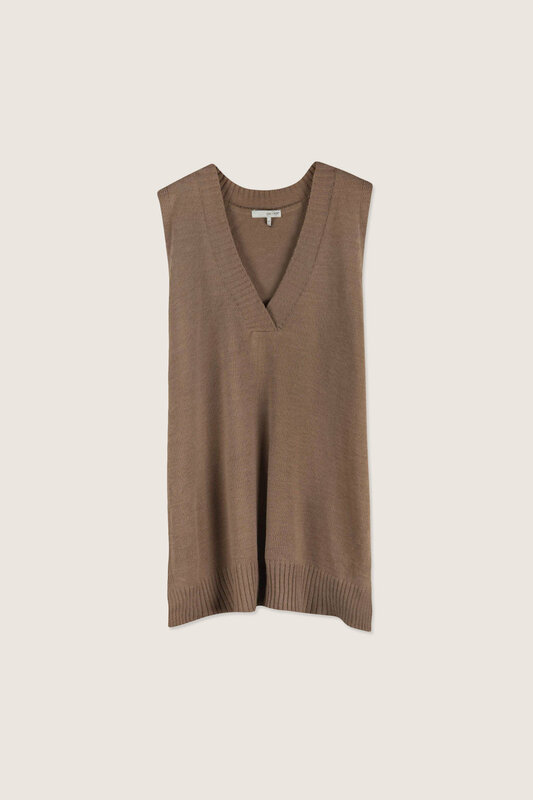 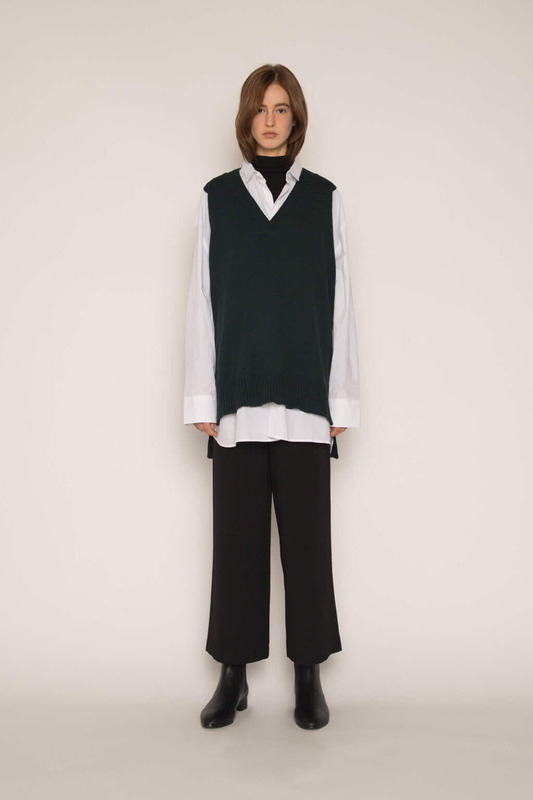 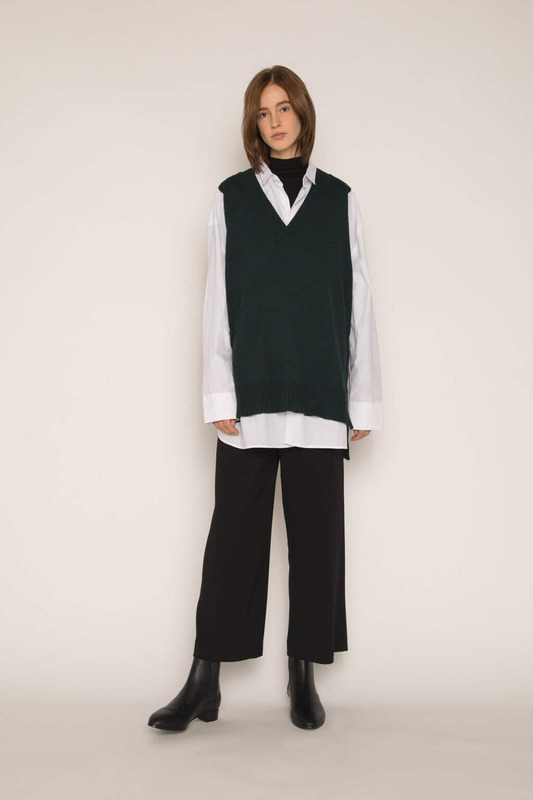 Perfect for layering, this lightweight sweater vest features on oversized silhouette with an exaggerated V-neck and a high-low hem with subtle side slits. 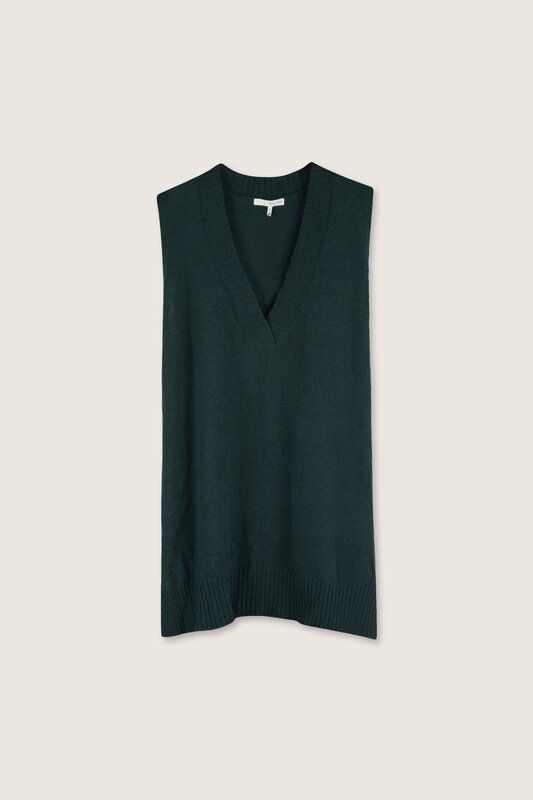 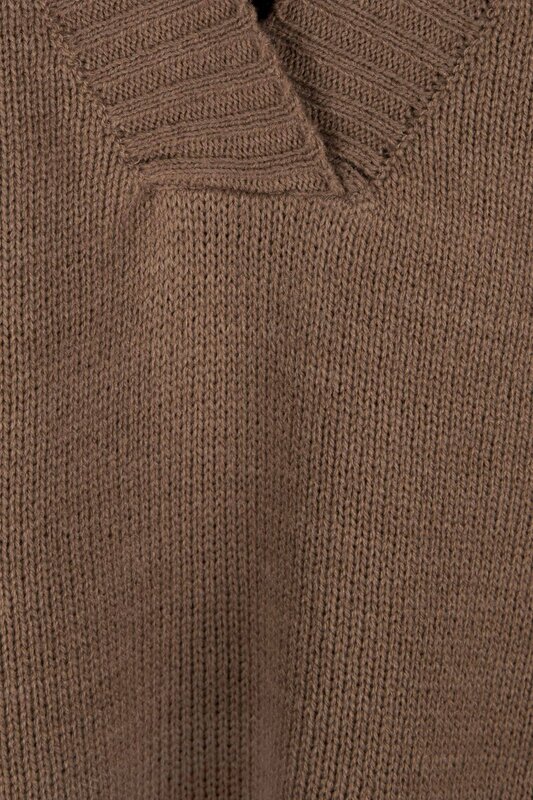 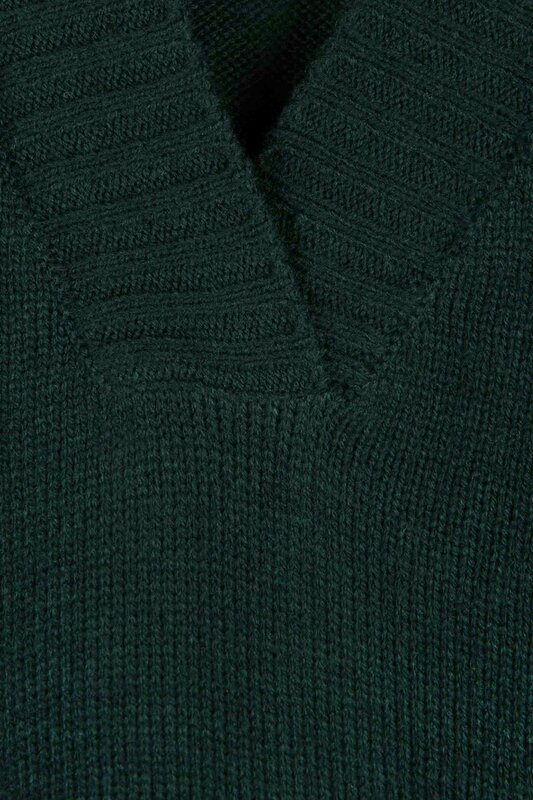 The ribbed trim detailing add an elevated touch to this minimal piece. 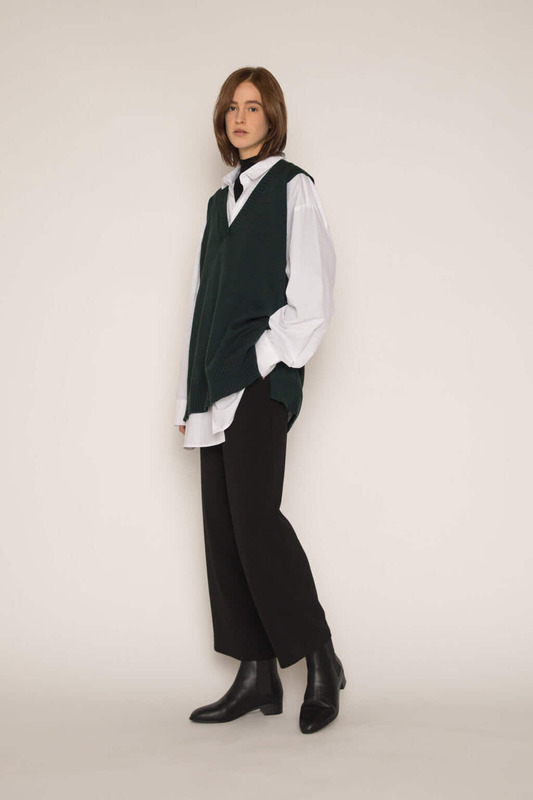 Layer over a turtleneck and pair with a fitted midi-skirt and sneakers for a chic yet casual look.